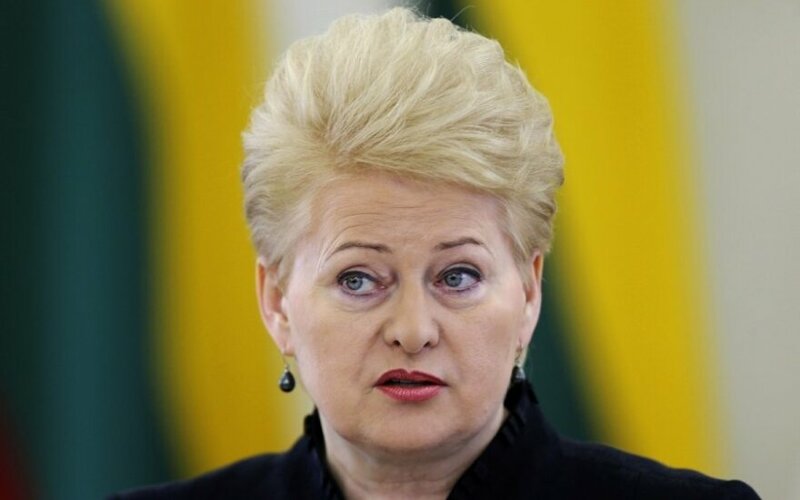 The West must tighten the existing sanctions against Russia in response to Moscow's and pro-Russian separatists' failure to comply with the Minsk agreement, Lithuanian President Dalia Grybauskaitė says. "Our common position is that the truce is not being maintained and it’s obvious now that it's not being maintained by the terrorists supported by Russia. Russia itself is once again taking an active role, as it has done, in the military action. So the military action must be stopped – that's the opinion of all of us, including the United Nations, the EU, and ours. All the signed commitments must be met," Grybauskaitė said in an interview with the national radio LRT on Thursday. In her words, what is now happening in eastern Ukraine is not only a violation of international law but also a violation of the second Minsk agreement which is "being blatantly and aggressively violated". She said the fact that EU and OSCE observers are not allowed into the city of Debaltseve, where separatists carried out attacks after the truce in order to take control of it, is an attempt to disguise who violated the Minsk agreement. "The fact the OSCE is not allowed to carry out its functions, its monitoring functions (in Debaltseve), is probably down to their wish to disguise who, how and why is not sticking to the truce terms. So the EU still has the dilemma and problem that we will have to respond, especially if these agreements are not implemented. I mean also tightening of the sanctions and adequate actions of the European and international community," the Lithuanian leader said. On Sunday, Grybauskaitė is flying to Kiev to attend the commemoration of the Maidan events together with other Western leaders. It will be a great opportunity to discuss the existing situation with the Ukrainian and European leaders, she said. "I will meet with President Petro Poroshenko, and I know that Polish President Bronislaw Komorowski will also be there, and Latvian President Andris Berzins, as well European Council President Donald Tusk, and leaders of other countries. It will be a great opportunity to once again evaluate and discuss the situation and, of course, pay tribute to the Maidan victims," the Lithuanian president said. Hundreds of emancipated Ukrainian government troops on Wednesday left the strategically-important city of Debaltseve which was attacked by pro-Russian separatists even after the truce came into force. According to various sources, at least several dozen and up to several hundred Ukrainian troops were killed in the attacks and part of them were taken into captivity. Speaking about the Ukrainian events, British Defence Secretary Michael Fallon warned about "real and present danger" of Russia trying to destabilize the Baltic states.